The theatre first opened with a production of Madame Pompadour on 11th November 1924 as the Martin Beck Theatre. It was named after its proprietor - the vaudeville promoter Martin Beck - and was the only theatre in New York at that time to be wholly owned, with no mortgage requirements. 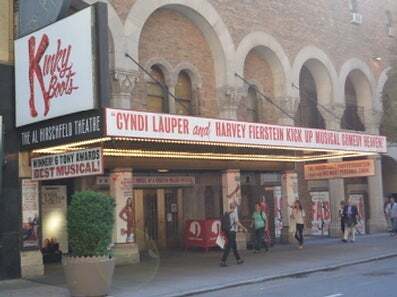 It was designed by G. Albert Lansburgh and only changed its name to the Al Hirschfeld theatre on 21st June 2003 in honour of the late Broadway caricaturist, who had died in January 2003. The theatre's current owner and operator - Jujamcyn Theatres - purchased the venue from the Beck family in 1965.